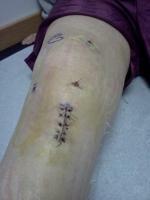 My son suffered an ACL and partial Meniscus tear (right knee) in December 2007 at a basketball tournament. 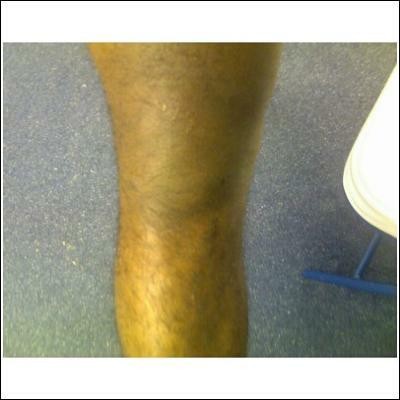 He underwent the Hamstring Replacement Graft surgery for the ACL and had the torn part of his Meniscus removed in February 2008. He completed his rehabilitation in October 2008, he has been diligent in continuing the requested amount of exercise and has been disciplined in remaining active. He is now in college and has begun to practice. For the past several weeks he has been complaining about severe pain in his knee area and the occasional feeling of it "locking-up". My son has since taken an MRI and the results showed no re-injury to his ACL. I am very concerned because his trainers have mentioned that the ligments feel sturdy and strong, there is no looseness or abnormal movement in his knee. He has been applying ice and elevating it, he has taken Aleve and Motrin and he still seems to have no significant relief. Could this be tendonitis, might there be some scar tissue that is forming or are there other possibilities that could be causing this degree of pain? Please let me know your thoughts and if you have had this sort of inquiry in the past. I am anxious to find out what the possibilities might be. Thanks in advance for your time, expertise and response.